Hey guys! 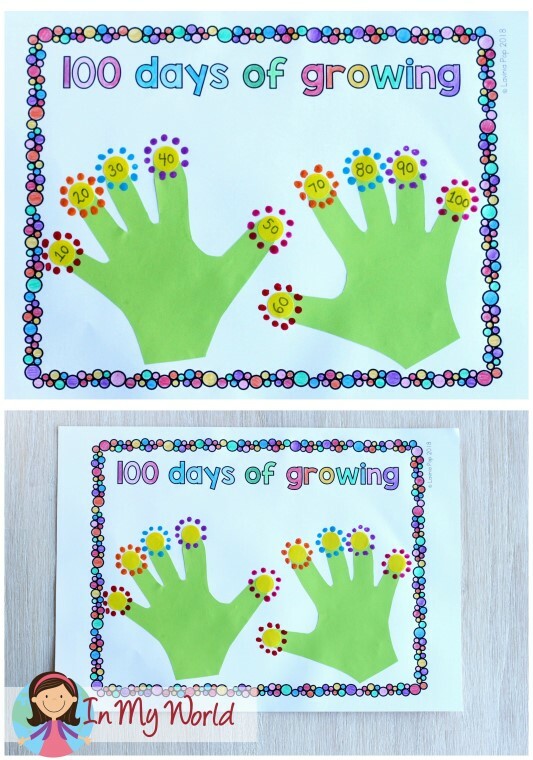 I know that the 100th Day of School has passed for many of you, but I am hoping that there are still a good handful of schools celebrating a bit later and that the free samples and ideas presented here will be useful. Let’s start with a cute activity that you can do with your kiddos. To get the free template, click on the photo below. 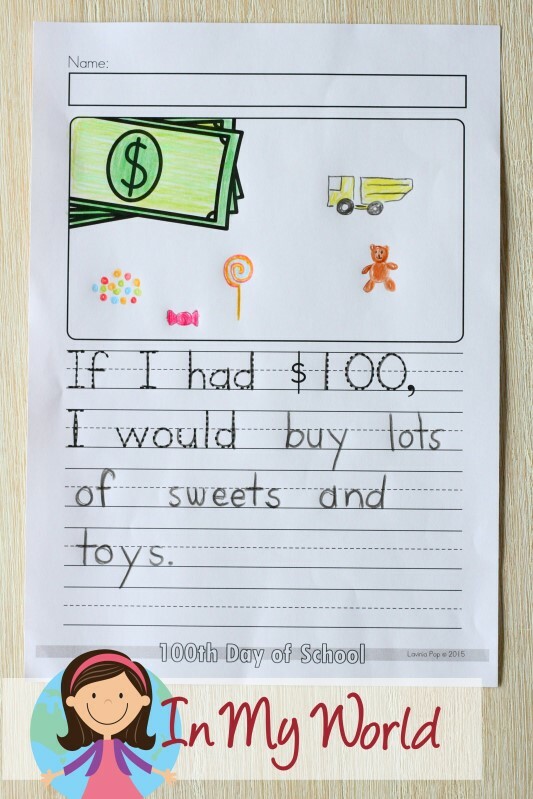 Next, I want to show you some of the contents of my 100th Day of School packet. 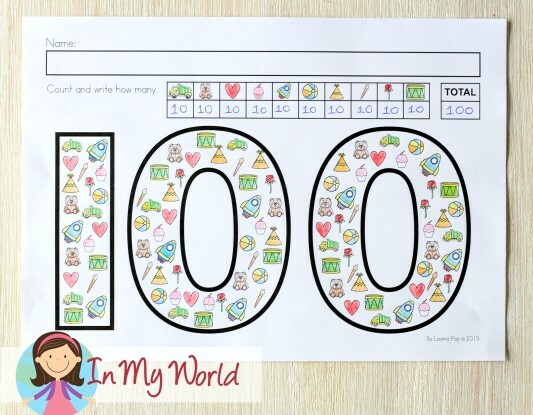 PLEASE NOTE: This blog post contains sample pages from my 100th Day of School packet. You can download the free sample pages by clicking the cover image below. 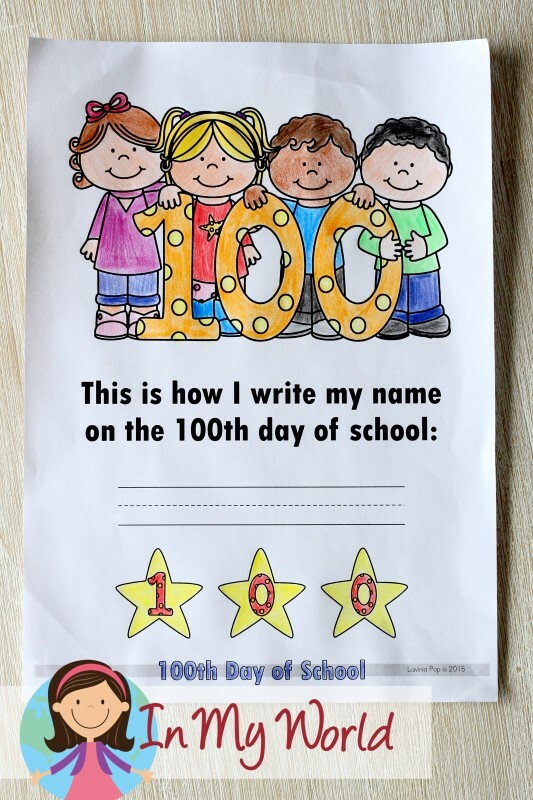 To purchase the complete 100th Day of School packet, please click here! Children color the page and then write their name on the writing line provided. This can be used as a cover page if you wish to make a booklet for your students using the other pages in this unit. 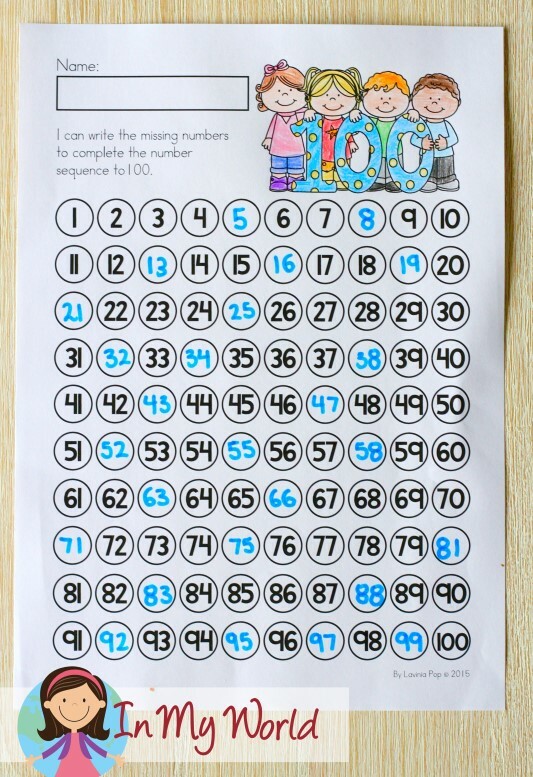 Using a dot marker (bingo dabber), stickers, crayons or small token, children follow the number 100 through the maze. 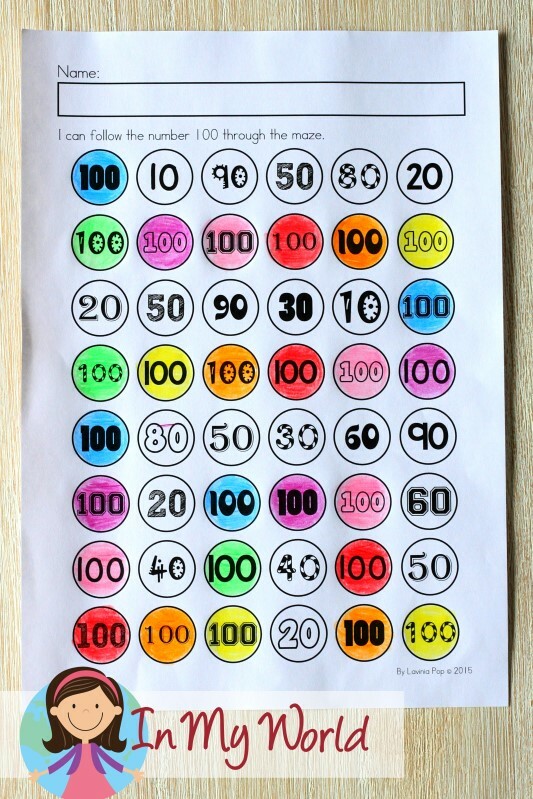 Using a dot marker (bingo dabber), children dot their way from 1 to 100, saying each number out loud. Children write the missing numbers to complete the sequence. Children will need a paper clip and a pencil to make the “spinner” needed to complete the activity: the pencil is pushed into the paper clip (ensuring the clip will not fall off) and must be spun on the inner-circle. Each time the “spinner” stops, they record the spin by coloring that many squares on the chart. Each spin is colored with a different color. 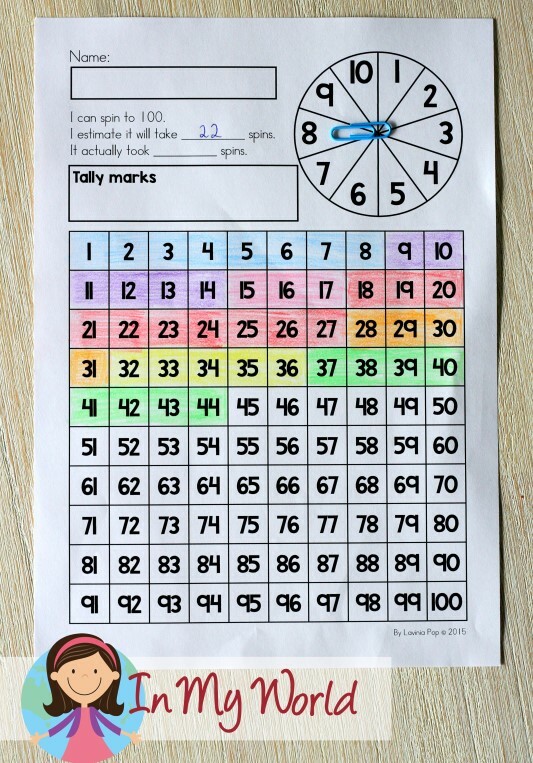 Before beginning, children estimate how many spins they will need to complete the chart and, once completed, they record the total number of spins needed. 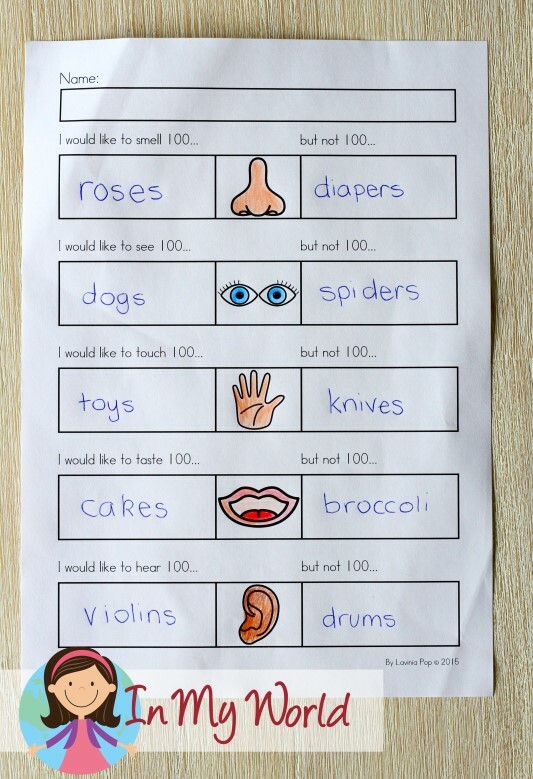 Children count the number of objects that are the same and record their findings on the chart provided. Upon completion, children add the objects and write the total number. Children cut the numbers from the bottom of the page and paste them in order to show the number sequence to 100 when skip counting by 10s. 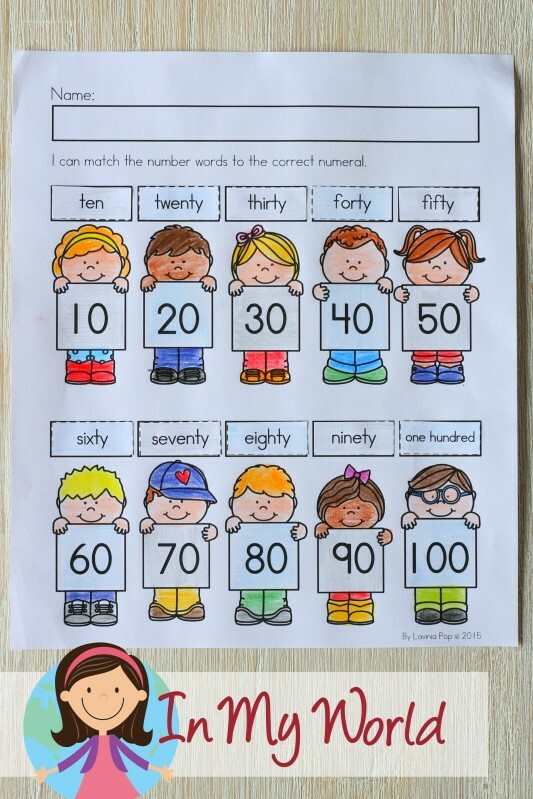 Children cut the number words from the bottom of page and paste them above the correct numeral. 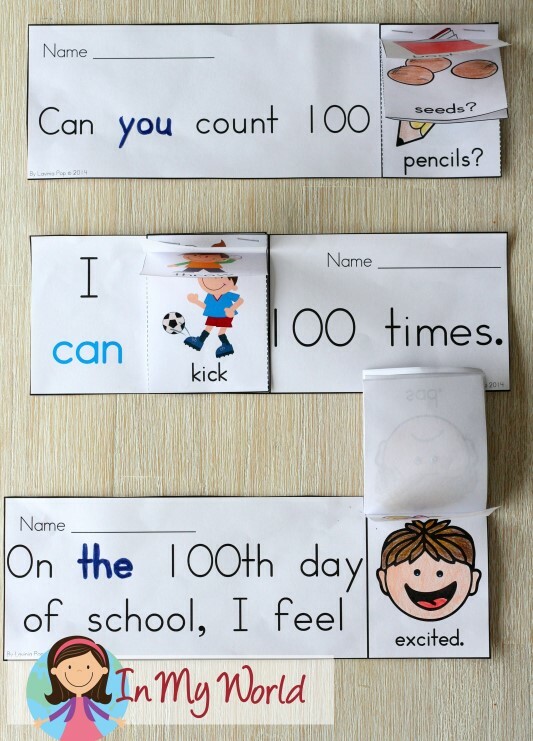 Children perform the actions indicated on the page and write how many times they were able to them in 100 seconds. This can be done in pairs, small groups or class activity. Timers will need to be provided. I also wanted to show you a few flip books from my 100th Day of School Sight Word Flip Book packet. 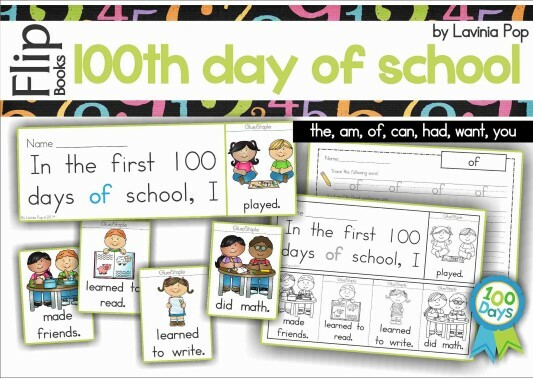 PLEASE NOTE: These are sample pages from my 100th Day of School Flip Book packet. You can download the free sample pages by clicking the cover image below. 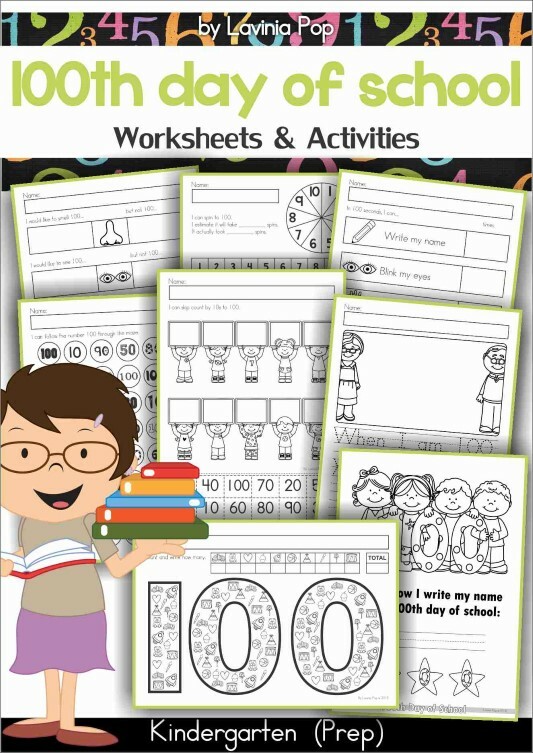 To purchase the complete 100th Day of School Sight Word Flip Book packet, please click here! 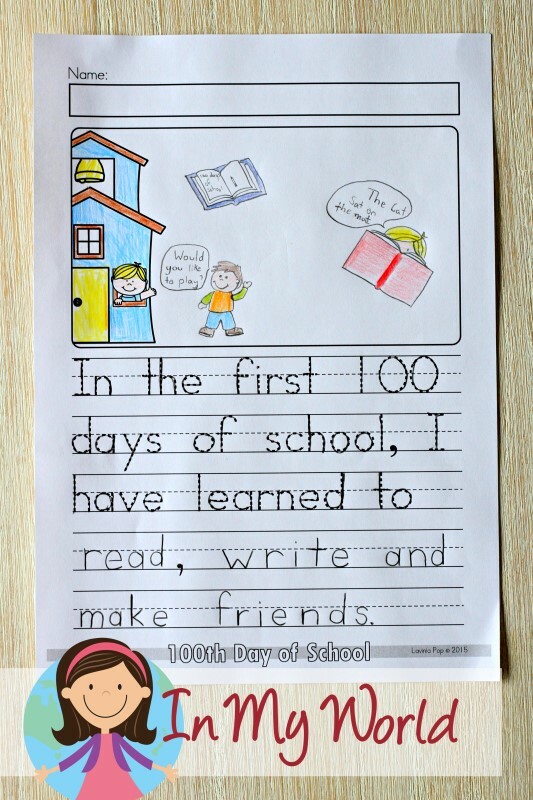 I hope this post has been useful and you’ve found some ideas that will help to make your 100th Day of School a little more exciting!